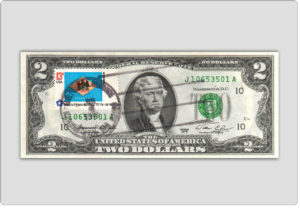 Two Dollar Bill First Day Issue 26c Airmail Stamp. 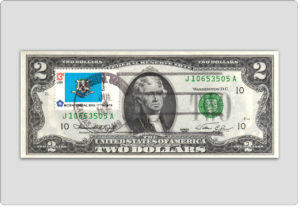 1976 $2.00 Federal Reserve Notes without First Date of Issue Stamps are collectible in Crisp Un-Circulated grade, and in general the 1976 US Two Dollar bills are collectible since not that many stayed in circulation. Bills in less than crisp condition have less value, and in heavily circulated condition will only trade at face value. 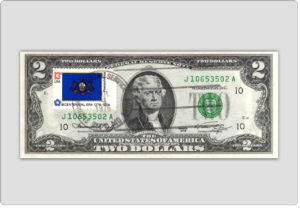 Some Two Dollar bills with the new 1976 design were stamped with the first day of issue as shown above. Using a new 1976 stamp canceled by the post office created a unique cancellation stamp design which was only issued on that one day. The current stamp would be put on the bill, and then canceled with a special U.S. Postal Service Cancellation Stamp including the date of issue. 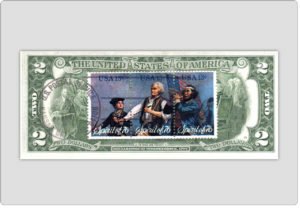 This is a cross-collectible made for stamp and paper money collectors. 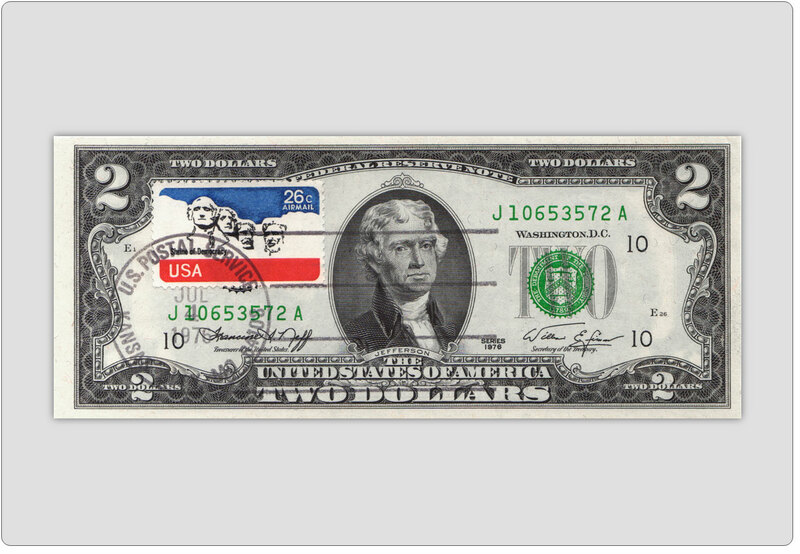 Bills are in Crisp Un-Circulated condition. An important addition to your collection.